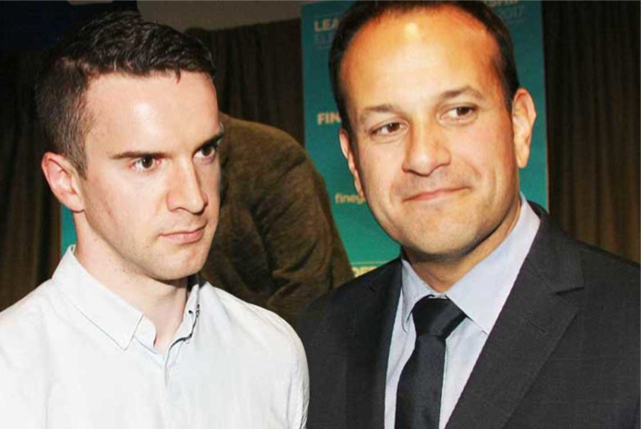 Ireland’s election of gay neo-con Prime Minister Leo Varadkar is consistent with its long history as an abject Masonic colony. According to Jude Duffy, the idea that Ireland is reacting to centuries of Catholic repression is a Zionist myth. Ireland was never Catholic. Makow Comment – Ireland is typical of what has happened throughout the world. The NWO is Masonic. Freemasonry is Cabalism i.e. Jewish satanism. World government (globalism) is the tyranny of evil. Dublin– Ireland’s new Taoiseach (Prime Minister) will be the half-Indian, openly homosexual Neoconservative Leo Varadkar – yet another proof of Ireland’s status as perhaps the most culturally Marxist country on earth. How did things reach this pass? To answer that question one must dispense with all the hackneyed guff that characterizes most msm commentary on Ireland. The first thing to remember about these narratives is that the repressive all-powerful Catholic Church” version of pre-1990s Ireland was invented and promulgated by those with the real power in the country. Ireland is ultra-cultural Marxist now, not because fifty years it was a Catholic theocracy, but because fifty years ago it was a masonic liberal state, and still is one now. Don’t take my word for it: A defining part of the Anglo-Irish Treaty which gave birth to the new nominally independent state in 1923, stipulated that no new law made by the new state could apply to the Freemasons in Ireland. As if to physically underscore who still called the shots in the new state, the Masonic Grand Lodge of Ireland sits directly across the road from Dail Eireann, the Irish parliament. Indeed there is strongly rumoured to be a secret underground passage between the two buildings. Shortly after becoming Taoiseach in 2008, Brian Cowen was caught on a hot mike calling the Fine Gael party of which Varadkar was then a senior member,”Freemason Fuckers”. A few months later a huge manufactured financial crisis beset Cowen’s government, and he was removed in a palace coup in early 2011. Cowen wasn’t the first Irish politician to learn the cost of speaking out of turn about Ireland’s real rulers. 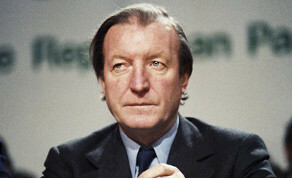 In 1986 the former Taoiseach Charles Haughey, left, questioned the incumbent, Garret Fitzgerald, about his attendance at the MI6 aligned Bilderberg gathering. A few weeks later Haughey’s yacht capsized on a very calm day off the south coast of Ireland, and he narrowly escaped drowning. After that, he stopped talking about Bilderbergers and became almost as servile a lapdog of the Rothschilds as Fitzgerald. A few years previously, Martin O’Donoghue, a senior colleague of Haughey’s, was caught on tape telling Ray McSharry, another senior figure in the Haughey led Fianna Fail party, that there was “lots of money around” to bribe members of Fianna Fail in order to support a coup against Haughey. True to form, no one in the Irish media ever deemed this smoking gun evidence that Irish democracy was for sale to the highest bidder, worth discussing, much less investigating.